Despite the king's resistance, Princess Aerity believes they must make peace with the Lashed, and though she's accepted a betrothal to the man who took down the beast, she cannot help thinking about Paxton, the Lashed man who stole her heart and disappeared. Aerity soon discovers that Paxton has joined Rosaria's army in the war against her family. Though her feelings for him are still strong, her duty to her kingdom and her family is stronger-especially when her parents are kidnapped and she has to step up to the throne and once again put aside what's best for her in order to do what's best for her people. Paxton and Princess Aerity must fight to see what is more powerful: their love or the impending war between the magical Lashed and the non-magic humans. 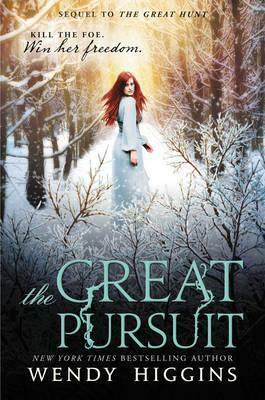 Wendy Higgins is the New York Times bestselling author of the Sweet Evil series, The Great Hunt, The Great Pursuit, Flirting with Maybe, and Kiss Collector. Born in Alaska as an Army brat, she lived on five different military bases across the US. Wendy now lives on the Eastern Shore of Virginia with her husband and children, writing full-time. You can visit her online at www.wendyhigginswrites.com.